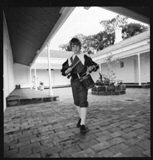 My time at Haileybury (1975-1983) was the happiest of my life. The challenges there suited my optimism and my confidence grew with the successes. For nearly all the first five years the Principal, Michael Aikman and I swapped ideas and enjoyed each other's company. The school grew from 280 to 440 boys. The beginning of the rift between us, however, started as early as 1979, when three deaths close to the centre of school life revealed a Principal almost devoid of sympathy. My response was to limit the flow of confidences I was prepared to pass on to him. He sought others to supply this information. They included his wife. To Michael Aikman with an open canvas at Keysborough little of significance had been achieved at the school before he arrived. My background taught me differently. I valued the past. Our first major dispute was over the historic Castlefield building, which had housed the boarders and which I had grown to cherish while being the last of the boarding housemasters. As Michael Aikman planned for its demolition, I anonymously tackled its renovation. 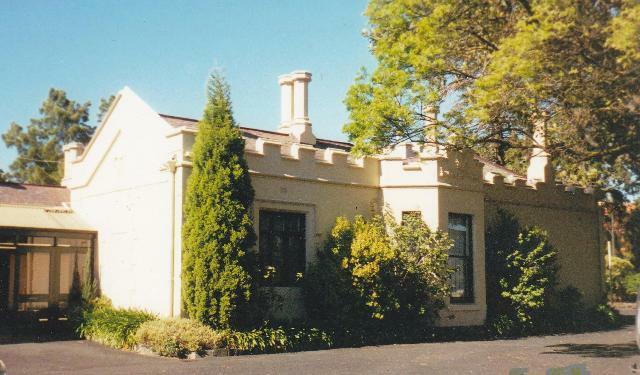 The second round of disputes came after he had built the Keysborough Junior School and it was always the Brighton Junior School which had to come into line. This documentary account, made up in large part from weekly letters sent overseas, unfolds like a novel revealing the good times, then the deteriorating relationship between the two of us and the mistakes made on both sides. It is dedicated to the boys, parents and staff who were part of the Brighton Junior School (renamed Castlefield in 1982) between the years 1975 and 1983 and who may never have been aware any conflict existed until my 'resignation'. After the events at the end of Term 1, 1983 and its aftermath, some stayed, others left. Their decisions depended on how much they were prepared to come into line, how clearly they saw the significance of our conflict and how much they needed Haileybury. The Junior School Heads Association of Australia (JSHAA (Inc)) began in 1952 as an association of the Headmasters of Boys' Junior Schools in the independent sector. In 1984 the Headmistresses of Girls' and Co-ed Junior Schools in the independent sector were admitted. In the late Eighties the WA Branch of JSHAA sought membership of the Australian Primary Principals Association (APPA). This was achieved in 1990. As the next State Chairman of JSHAA (WA) in 1991, I intended making the most of our membership, hosting the first WA Chapter Dinner at Scotch for the three sectors (Government, Catholic and Independent). I also wrote a paper on 'The National Curriculum' as the WA Chapter's contribution to the 1991 APPA Conference in Sydney. These 'good works' ensured our ready acceptance into the WA Chapter and we worked with Mike Berson (WAPPA, representing the Government sector) and John Willet (WACPPA, the Catholic Sector) planning for the first combined APPA/ACPPA Conference in Perth in 1993. Such 'progress' was not duplicated in the other states. In the years after 1993, JSHAA(Inc) was made to feel a lessening of its autonomy by the Association of Heads of Independent Schools (AHISA), the independent sector's secondary school heads. The other JSHAA state branches therefore felt circumspect about taking up the offer of membership to APPA despite invitations being made. Between 1994 and 1996 APPA deliberately tried to be even more welcoming. First the APPA National Executive Council trialled having a representative from each sector in each state, instead of the State Liaison Officer model used until then, and then at the 1996 APPA Conference in Canberra, a formula for membership fees was agreed on which was purposely more inviting to the smaller JSHAA state branches. Within two years all the JSHAA state branches had taken up the offer of membership. However there was still lingering resistance. In 2000 an editorial committee of four retired JSHAA Heads put together a History of JSHAA, 1952-2000, entitled 'Lighting the Flame'. My article 'Obtaining Membership of APPA (1990-1996)' was rejected and in its place a nameless author wrote an error-filled piece which showed a total lack of understanding of what had happened, even crediting the 'Federal government' for the changes made within APPA. To correct this misunderstanding I compiled 'Broadening the Flame'. Throughout the period 1991 to 1996 I had held various roles on the APPA National Executive Council and my papers prove how APPA worked to widen its membership to include JSHAA (Inc) and the independent sector. It makes fascinating reading. As a footnote it was because APPA was the only educational association which represented all of the three sectors that Julia Gillard, when Minister for Education and Employment, chose to work with APPA in preference to any of the other educational associations during the global financial crisis. 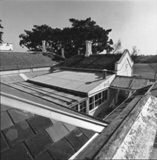 As a result it was the primary schools throughout Australia which benefited from her schools' building programme.